*Use a credit card, you will get more points for the same price. The comic style is rather nice, there are cute achievement in the visual ambiance (the “Egyptian” exposition, for example) and the cinematic cuts in ancient movies style are original. Amusing, during the cut scenes it is like silent movie piano accompaniment, but the lounge classical in a loop with the crowd’s noises on it is all right for a while, but tends to get annoying. It is not very difficult to master (I just have a tendency to talk instead of using the ability). One a to talk, one to stack (in any doll one size bigger), one to unstack, and one for the “ability”. You get the smallest one, without special ability, and can stack into any (or almost) doll one size bigger, and then use its ability (or other things, like the fact it is a girl, or an adult, or…). 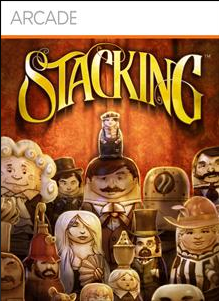 It is more a question of thinking about who to stack and in which order. 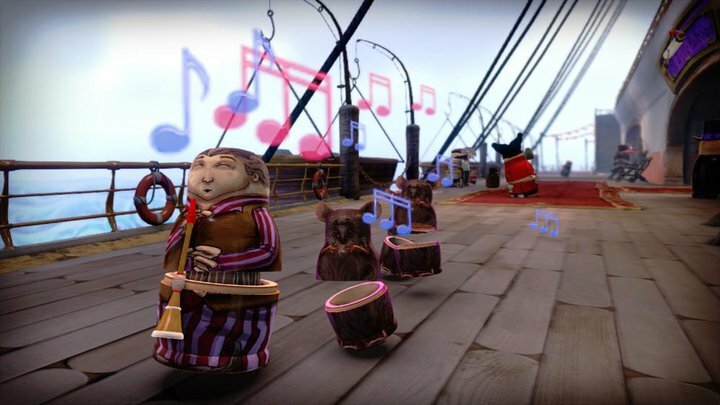 The game itself is not very long, but it was made so that you can look for all the different solutions to each stage, the unique dolls, and mini side quests (“jokes”), which in the end makes a game of a reasonable length. 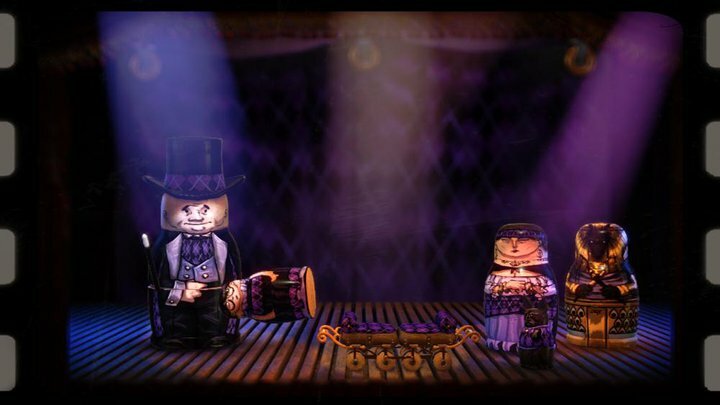 The story can seem simple (“oh my god, someone kidnapped all my siblings, I need to find them”), but with the style of the game, the context (industrialisation/child labour) and the dolls, it is a perfect fit.